Now available for non-Italian bikes too! BEWARE OF UNUSUALLY CHEAP "BREMBO OFFERS", AS BREMBO'S PRODUCTS ARE NOW WIDELY COUNTERFEITED. 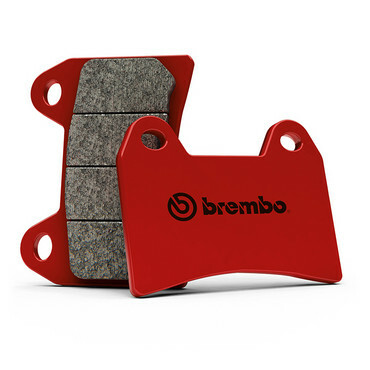 AT HPS WE GUARANTEE ALL OUR BREMBO COMPONENTS AND PADS ARE GENUINE. Whether Road, Track Day or Race, we’ll advise of the right pads for your needs from our wide choice of sintered, carbon ceramic or organic compounds. "...[with the Brembos installed] the difference is there was no fade at all." Brembo, a world leading name in brakes, has a full range of high performance pads incorporating vanguard technology designed to improve the safety of the entire braking system. Offering a wide variety of compounds, from sintered to carbonceramic, and a big selection of part numbers, Brembo is able to satisfy specific needs presented by motorcycles of every kind – racing, road, off-road, and at HPS we've chosen the appropriate compounds for our customers. "Thank you for sorting out my order. 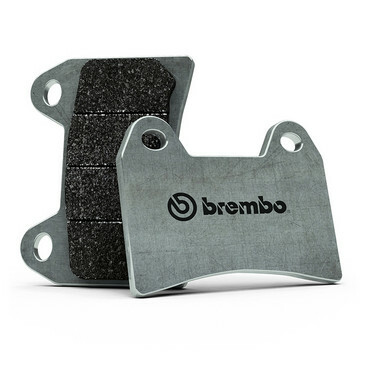 The [Brembo SC] pads are fantastic; the brakes have been completely transformed, initial bite and plenty of feel with no fade." 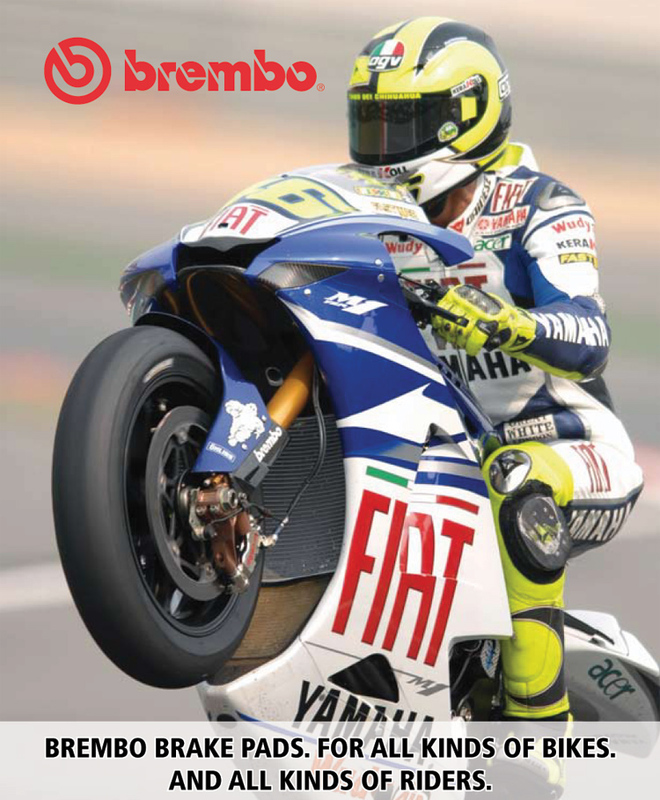 “Motorrad” is the monthly magazine dedicated to motorcycle enthusiasts and its readers, name Brembo as their favourite brand among brake pad manufacturers year after year with 79.7% of the overall voters for 2015. "Beyond any shadow of doubt, these are the best all-round road, track day or race pads you can buy - and the first and only pads ever which we can say are perfect for all applications. Even if you are simply "a road rider" if you ever need to brake hard in an emergency these pads will stop you in a shorter distance than anything else - and with more control. Can you really afford to skimp and not install these?" Sintered compound for race, track-day and road use, with a particularly high friction coefficient when both cold and hot (between cold 0.76 Mu/COF warm/hot 0.79/81). As this material stays very stable in all temperature conditions and, specifically, has a strong friction coefficient when cold, this race material is also particularly suitable for the highest-performance road use (which most other race pads are not, due to them requiring a warm-up period). Tested by HPS and confirmed to be by far the best all round race, track and road pad you can buy. 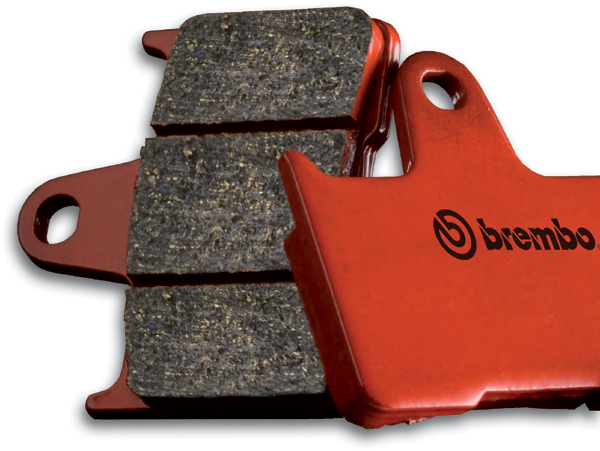 "They are fantastic brake pads. I remember when I first had them fitted - it felt like new calipers, new lines - like the whole setup had changed!" 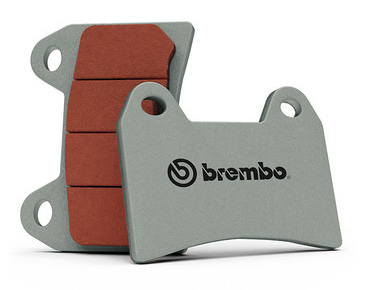 A sintered compound intended specifically for front brakes, typified by particularly consistent efficiency and friction (between 0.52 Mu/COF cold to 0.59 warm) under all operating conditions. An ideal and superior alternative to OE pads. A sintered compound intended specifically for rear brakes, stable in all normal operating conditions (between 0.55 Mu/COF cold to 0.56 hot). A true racing pad, suitable for any kind of competition on the racetrack. With highest friction coefficient in this range and – more especially – exceptional stability at high temperatures (between cold 0.70 Mu/COF to warm/hot 0.81/79), this compound gives truly constant braking performance lap after lap, from grid to flag, after initial warm-up. Tested by HPS, these are a superb race-only pad. This Brembo high performance brake pad range was developed exclusively for racing and designed to offer unparalleled performance in the most demanding race conditions: with greater braking control, greater system stability, increased braking power, outstanding resistance to high temperatures and reduced wear (i.e., these pads may seem costly but they last far longer than most comparable race pads which goes a long way to equalising their true cost). *If you don’t think the pads we’ve advised you to buy are best you’ve ever had for your bike, simply send them back to us within 14 days and we’ll refund the full cost of your pads, excluding postage. Limited to one set per customer, offer excludes Race only (RC & ZO4) pads. E&OE.